Teresa Valencia is the curator of ‘Iolani Palace. She says the ali‘i sought out the top dressmakers in New York, London and Paris and added their own Hawaiian twist into the design. 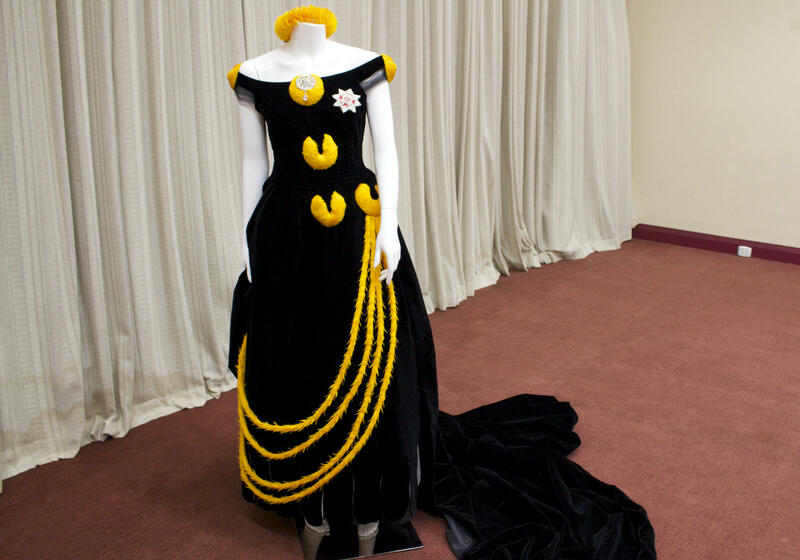 The first dress goes on display in Bloomingdales at Ala Moana before being returned to ‘Iolani palace at the end of the month where it will become part of the Palace’s permanent exhibit. Two significant pieces of Hawai‘i’s cultural history are returning to the islands this week. They are a very special ‘ahu‘ula and mahiole—or feathered cloak and helmet. In 1779, they were presented to Captain James Cook by Kalaniōpu‘u—the paramount chief of Hawai‘i Island. HPR guest commentator Noelle Kahanu says the return is important not only because of history, but also because of timing.